Ultraframe Plc, the leading specialist designer of conservatory systems in Europe and North America, today announces the appointment of Vanda Murray, OBE, as its UK Managing Director. Ms Murray will also have specific responsibility for strategic marketing across the Group. She will take up her new role with effect from 1st September 2004, and will remain on the Board, now in an executive position. Vanda Murray joins from Stanley Security Solutions, where she was President, Europe, having formerly been Chief Executive of Blick plc, prior to its acquisition by The Stanley Works Inc in January 2004. During her tenure at Blick she played a key role in successfully turning the Group around, notably through the implementation of a new strategy, to create a strong and focused organisation that generated significant shareholder value. During her career she has undertaken international marketing roles with ICI, GTE Inc and BET plc and PAC International Ltd (a subsidiary of Blick plc). 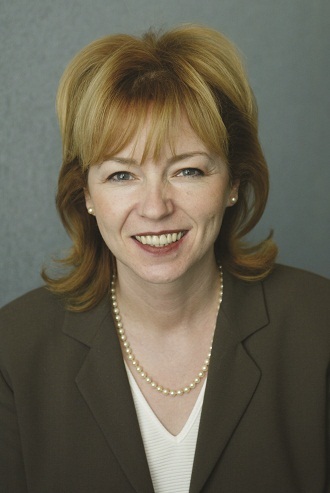 Ms Murray (43) has been a non-executive director of Ultraframe Plc since January 2002 and is a trustee and Non-Executive Director of The Manufacturing Institute. She joined ICI’s graduate trainee scheme in 1983 and her career has incorporated international marketing roles with ICI, GTE Inc and BET plc before she joined PAC International Ltd, a subsidiary of Blick plc in 1991, as Sales and Marketing Director. She became Blick’s Group Sales and Marketing Director in 1999 and rose to become Chief Executive in 2001. Her most recent role was at Stanley Security Solutions, where she was President, Europe, since Blick’s acquisition by The Stanley Works Inc in January 2004.